While Houston is known around the globe as the energy capital of the world, NASA, its rodeo and of course great BBQ, Houston is also home to a vibrant and growing antique and fine arts community. It should come as no surprise given that Houston is the fourth largest city in the United States and over the last two decades has seen a significant increase in its international prominence. This is in large part due to the energy sector and Houston’s history and geographic location as a key gateway to Latin America. With economic growth has also come expansions and acquisitions by its museums. These unique factors have made Houston a great place for antiques and fine arts. Here are Houston’s great fine art and antiques museums. The MFAH was established in 1900, and its collection now numbers for than 56,000 pieces that range from antiquity to today. It is a must for art and history aficionados. The MFAH collection spans a vast swath of periods from ancient Egyptian works to Asian art to Impression and Post-Impression examples that include Renoir, Cézanne, Monet, Degas, and Vuillard. Fine examples of early Modern painting include distinct canvases by artists such as Picasso and Léger. The MFAH is also home to many special collections from Indonesian Gold to Brazilian Constructive Art. Comprised of approximately 15,000 works dating from the Paleolithic era to the present day, the Menil Collection is organized into four areas – Antiquity, Byzantine and Medieval, Tribal, and Twentieth-Century Art (focusing on Surrealism). With the sheer number of works and significance of each, the Menil Collection is one of the most significant collections of the twentieth century. The Menil Collection is another gem for fine arts and antiques in Houston. Houston is home to numerous antique pavilions and annual shows that are great for both sellers and buyers. The breadth and depth of fine works are outstanding. No matter if you are selling or if you are buying, always do your research and bring in an antique or fine arts appraiser so that you are better informed about the work’s history and value. Having a knowledgeable antiques or collectibles appraiser input can help you devise the best way to position your items for sale. Or, it can help a buyer best craft an offer. Every November, for the last 60+ years, the Theta Charity Antiques Show has set the antique scene in Houston aglow. The Theta Charity Antiques Show brings the top dealers from across the United States to Houston. The Show is one of the best known and longest continuing high-quality antique shows in the USA. Buyers and collectors come from all part of the USA and beyond to find exemplary pieces. This event is designed to attract a sophisticated and discriminating collector with museum-quality pieces. Proceeds from the show go to local Houston charities. The Houston Antiques + Art + Design Show features approximately 75 premier exhibitors from across the United States, Canada, and Europe. The show focuses on offering fine antique furniture, decorative and fine arts. They are representing all design movements of the 17th, 18th and 19th centuries and vintage 20th century modern. There are many more fine art, collectible and antique events, pavilions, galleries and stores in Houston. The above-mentioned are just a highlight of what Houston has to offer. 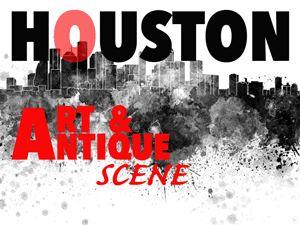 Have fun exploring and discovering Houston’s dynamic fine art and antique scene. Why Hire A USPAP Compliant Appraiser – And What Is USPAP?